One of the important aspects that small companies tend to overlook during the product launch is packaging. In fact, it shouldn’t be the case since this could serve as the starting point of entry for your products to the market. The packaging is the first interaction of consumer to your product. That is why when you do it, you have to do it right. 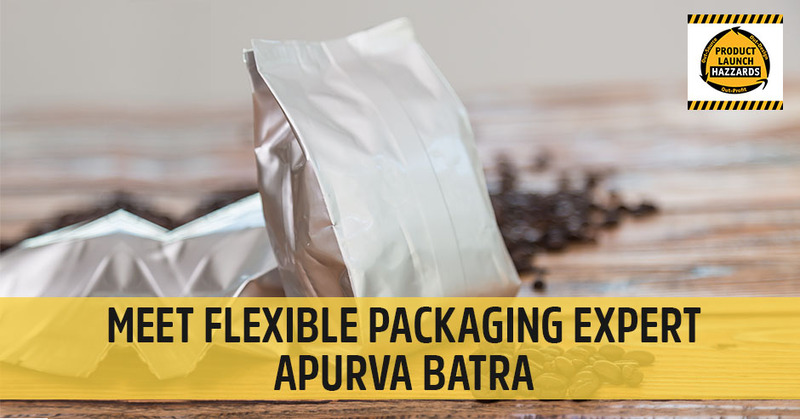 Flexible packaging expert, Apurva Batra, goes in depth on how to effectively package your products. He discusses the many material choices and considerations in order to formulate the right package. Concentrating on flexible packaging, which is the use of barrier films, he talks about the technology and benefits it offers to the shelf life and more. Ultimately, by packaging your products well you will be able to rise to the competition. I have a brand-new expert to introduce you to. I have Apurva Batra from FlexiblePouches and they’re out of Texas. I’m bringing them on as an expert on the platform because FlexiblePouches fits completely in line with what we do here, which is that we want to test. They are one of the few packaging companies that do smaller runs so that you can make sure your product’s ready to go. You can make sure this packaging is doing the right things for you. This is critically important. As you all know, you make this giant run and then you find out, “That didn’t work. That wasn’t right,” and now you’re in trouble. He understands that and he gets that. He’s developed his services and his products and his company around that. We don’t have enough packaging experts. If you don’t know already, but I have no package designer as an expert on our platform yet. I have package designers I refer people to, but they’re so busy they don’t want to market themselves because they don’t want more clients. It pays to be a packaging nerd. You hit it right on the nail there. I started this company with the aim to level the playing field because, historically speaking, you find that a lot of the smaller companies are unable to compete when it comes to the big competitors and corporations there. We wanted to create an outlet where small companies that are either going through a product launch or in their growing phase can come to get high quality, affordable packaging that’s either as good as the big boys or even better. Product packaging is a whole behemoth in and of itself. It’s one of the areas where a lot of small companies tend to overlook especially during the product launch. It’s like, “I’ll just package it later.” It’s something you have to think about early in the process. 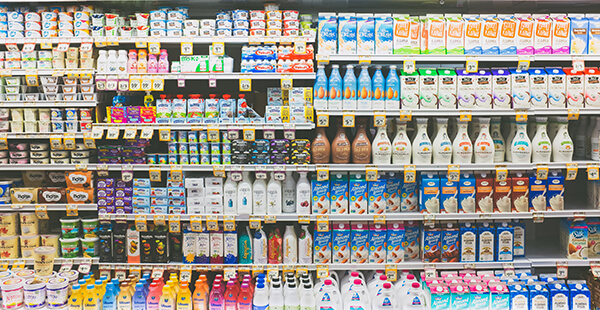 The key aspects of effective product packaging, if small businesses can harness them, they can leverage them in order to create a sustainable brand that ultimately does resonate with consumers. That’s the end goal. Let’s talk about you. You’re based out of Texas at Houston area? That’s right. FlexiblePouches have been around about five years. We serve clients ranging from Fortune companies, all the way to small businesses, mom and pop startups, and medium businesses. We’ve got a pretty good portfolio. You can probably go to any of the major retailers and find a package that we’ve manufactured and supplied. My personal background is a technical background in mechanical engineering with an emphasis on material science. I have that understanding as far as what materials may be required as far as what the functionality of the package may be and how it applies to each product uniquely. We cater quite a bit to the food space, but our market span is wide. Medical marijuana these days is pretty big. There are a lot of laws around child-resistant packaging. We recently did a job for a client that the shoe inserts. They wanted to package those in flexible bags. Everything under the sun can be packaged in flexible bags. There’s a trend in the industry to go flexible. You find soup these days that’s in flexible pouches as well. We’re here to steer brands in the right direction. All brands may not necessarily need to go the flexible route. It may not be appropriate, but there is a certain common theme in terms of starting on your package design early in order to create a sustainable long-term brand. You bring up a good point that there’s a lot of considerations that come early on. How am I going to package something is one of those things in the early days because one of the most important things that we come up with is how much space something takes? Shelf space matters. How much something’s going to weigh? How many can I put in a box and ship it to Amazon? These are a huge consideration. Not understanding how you’re going to pack it or how you can pack it efficiently early on in the development process can cripple you. It can hurt you later when you come and realize it was bigger than you planned. We debunk that all the time here. That’s where we come into play and we start with trying to emphasize the importance of your packaging. Your packaging is the very first interaction that a consumer has with your product. All the way from the retail shelf or the online search result. The packaging is the voice of your product and that’s to do a number of different things. First and foremost, it can attract a prospective customer. You can have the best product in the world, but I don’t care what your industry you’re in. There are dozens and dozens of competing products that are out there. Consumers are impulsive. If your package fails to adequately attract the consumer or lure them on the store shelf, then it doesn’t matter how good the product is because they’re never going to get to it. Let’s talk about what you do. You’re helping them formulate what’s the right package. There are so many material choices and considerations. Let’s talk about that because I think people don’t realize the quality and lifespan implications of material choices. Flexible packaging is basically the term that applies to anything constructed out of barrier films. Barrier films are engineered films, generally poly but sometimes metal, sometimes craft paper and sometimes other materials. Flexible Packaging: If your package fails to adequately attract the consumer on the store shelf, then it doesn’t matter how good the product is because they’re never going to get it. When you say metal, your average layperson would call them foil packaging. Yes and no and there’s a big distinction actually. Most people, even in the food industry, sometimes get hung up on this. There’s a difference. The two most commonly used metal films, there’s a metalized poly film and then there’s aluminum foil. There’s a big difference between them obviously. Metalized poly is a film where it’s plastic-base and then you have a little bit of a spray of aluminum onto it. It is still a poly film at the end of the day. Aluminum foil is a layer of aluminum foil that we sometimes put into the package into a laminate. That does wonders for your shelf life depending on the product packaging. At the end of the day, these materials are basically individual barrier films that are sandwiched together and laminated. Generally, each one serves a unique purpose. We get so many startups and new businesses that come in, they’ve got the perfect recipe for their new organic cookies, but they have no idea what materials to go for. We’ll advise and say, “Depending on your shelf life requirements, depending on how you are filling these, depending on your operations, you might need a metalized or clear poly-based laminate.” That material is an integral part of our services to prospective clients in advising them on how to actually go about starting with the material selection process. This is also a consumer perception issue. It has a quality level of perception, “This is more sealed, it’s safer.” It may have nothing to do with it because I see some packaging that people go, “It’s really safe,” and totally it was not. You have to match not just with what qualities you need, but the quality of market expects. We talked about how the package is the first interaction with your product that the consumer has and sometimes the only differentiator. You have a different store shelf and you see a bag that’s leaking, not sealed and something’s wrong with it. That automatically is like, “I’m not going with that one.” There’s a lot of intricate details that need to be considered upfront. That’s where we come into play and make sure that everything is packaged properly, so that you stand up in the competition. You talked about small runs. How small can you go with the way that you work? We are one of the only packaging suppliers out there on the flexible space that will print fully custom-branded flexible bags in quantities as few as 1,000 units. Those of you who think 1,000 is high, you know nothing because that is low. Ten years ago, it wasn’t unheard of for the minimum to be on the order of 50,000 units plus. That’s where the industry has been. We have a unique business model where we were able to leverage those minimum runs on a mass scale. That 1,000 runs, by the way, if it’s the same size, standup pouch for example, we can split that up into two, three skews as well. It could be as low as 300, 500 skews. If you have five different cookies before, one might be a green bag, a blue bag, a red bag, like that thing. One might be caramel flavor. One might be white chocolate and so forth. That’s valuable too. You could have done this business fifteen years ago because digital printing has changed everything. The technology has changed your business. We leverage the technology as well. On flexible film printing technology, there are two primary methods, which is one of the offset printing which uses the plates and cylinders. That’s still probably the bulk of what we do in terms of volume and that’s where you have a minimum of 5,000 to 10,000 per skew or per design. That’s the economical way to go. It’s a higher quality. What happened is some of these digital presses, specifically one by HP called the HP Indigo 20000. It is the mother of all digital printing presses if you will. It’s not cheap, but it allows us to do those 1,000 minimum runs and still be on par with Hershey’s and some of the big brands that are out there. Ten years ago, we didn’t have the technology, now we do. Our turnaround times for that are pretty quick as well. We can turn those around in a matter of about a week and a half actually. It’s the fastest lead time in the industry. It’s the lowest minimum of the industry. As long as brand owners, specifically smaller new product launch companies can focus on the packaging, we can help them get to where they need to go. Flexible Packaging: At the end of the day, the way to go is to have your consumers travel with your bags or your product. It all comes down to of course, how you seal your package too. You’re creating the package but you’re not filling them with items. We don’t fill them. Most of our clients, depending on how big or small they are, they may be contracting out the actual filling operation to a copacker or a contract packager or a contract manufacturer. Those are the companies that will create. If you’re doing protein powder, for example, they will manufacture protein powder in a certified facility and they’ll have a filling line where they can actually fill your pouches. We do work with those contract manufacturers in order to make sure that the package requirements are adequate. For example, some of them needed to be sealed in a certain way. Some of them need certain sides to be open, depending on the orientation of their fill process. We can work with those guys. Collaboration is the key. This is why I always try to find new experts who not only are experts, but also have great skill sets and deep experience in what they’re doing and what they’re talking about. Some of you might have glazed over with the technicalness because I know some of you are top-level visionaries. I love that about all of you, but we need somebody with the technical on our team like Apurva. That’s our premise at the end of the day. If you’re making organic cookies or protein powder or crackers or shoe soles, you’re the expert in your field. Our job is to take away the headaches associated with the technical aspects of product packaging design. Work with your copacker or your filling facility or work with you depending on how you are filling the products and make sure we deliver something that works. That’s functionally adequate, fit for purpose and sells well on the store shelves. We see the big trend on resealable packaging. Do you have a part of your line where you insert the resealable zip? If you notice across a number of product categories, this might be a little bit skewed towards the food CPG brands, but more and more products are in resealable bags. You and I have all been there, we buy a big chips bag and then we forget to seal it or something and they go stale the next week. There was a study that was published and it said, “75% or more of customers are more likely to purchase a food product if it is resealable, especially if it’s not a single serve.” That’s one of the reasons why so many brands are going out there with the resealability. 90% of everything we sell has a resealable zip on it. I also see a big trend in smaller size packaging portability, single packs. A lot of you out there who are producing products are underestimating the value of having both options for your clients because we all travel and we all need to take stuff with us. Almost all of our clients that are doing the road or runs and everybody who’s established their brand, they’ve got so many different skews, but they’ve got the same skews in the single serve size. That might be a different type of package. It might be a flat three-sides seal bag, no zipper needed, just a tear notch or something. Having that visibility gives your brand that boost that it needs. If you can have your consumers travel with your bags or travel with your product or buy it for their house, that’s the way to go at the end of the day. There were a couple of trends happening like that in the supplement industry. It might have been before it’s time, but I’m seeing it come back again in various areas. That’s because all of us are doing our regimens under programs. We’re all still staying active. We need to take stuff with a snack and throwing them in little baggies on our own is a little underserving your customer. You’ve got to look at your competition. Failure to acknowledge competition is one of the primary reasons small businesses tend to overlook that packaging. They forget that all the competitors are packaging with products in your category, maybe in single serve as well as large size as well as the normal, reasonable size. One of the things we say is that going out and assessing your competitor’s packaging can give your insight into how to design your product. They’re all interconnected in some sense, but the packaging is the common theme that binds everything together. Flexible Packaging: When you’re going into your package design, you have to think about the balancing act between functionality and aesthetic. A lot of businesses even forget that even after making the sale, they’re job isn’t necessarily done because it’s about the customer experience. Failure to acknowledge that customer experience, which starts in the store shelf until the unboxing and unwrapping experience. It’s a product where you’re spending five minutes plus to opening a package that you thought should be doable without any effort. It doesn’t matter how good the product is, that sets the tone for how the consumers will interact with the brand. They may even consider other products within your lineup. Thinking about the customer experience is the essence of how you go about designing the product packaging. Thinking about the unboxing experience and functionality of the product in the lifetime. Unsealing experience in our flexible pouch world. It applies to every type of package as well. If the unboxing experience is negative, that doesn’t help. In this case with Costco, we’re in a world where, “Why is that necessary?” When you’re talking about it, “Is it necessary for it to be this difficult? Is it necessary for it to do this?” If it was a piece of glass and it’s going to break in transport if I don’t package it properly or I don’t have everything just perfect in it, that makes more sense to me as a consumer. I understand I wanted that mirror to get to me safely. Those make complete sense to me, but when you’re talking about something, it made me feel like they put theft. Who’s going to mess with the whole package of it? It doesn’t make any sense over my well-being as their customer, as their member. That’s the thought process you want to go through as a purpose of pointing out about your unboxing or unpackaging experience. What is the perception that’s going to come up in their mind? “This is a quality product. This is ridiculous.” That’s what goes into their mind. That’s not good. The customer experience has to be the underlying theme in terms of product design as well as the package design. Any aspect of a negative interaction with a customer is going to change the tone basically. Let’s talk about the fun part, like making the package all pretty. Do you have a team that can work with people or do they need to come pre-done design? 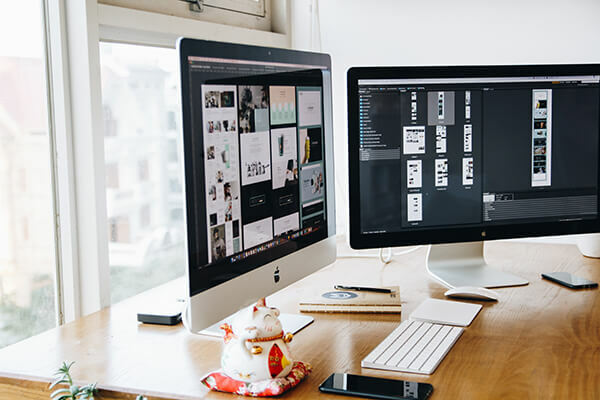 Most of our customers do have designs ready to go, but we have an in-house graphics department that will help you balance out ideas if you’re not sure where you are. You may just have a logo. 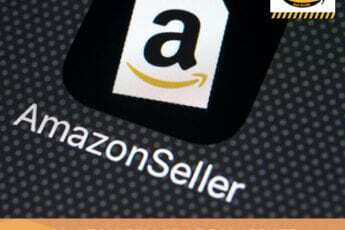 For example, we advise customers not to go online and buy $10 logo. My very first article on Inc., Million-Dollar Companies Don’t Buy $5 Logos. That’s setting yourself up for failure. Our graphics team can help bounce around ideas and if you’ve got something in the work and say, “What do you think?” We can help you polish that up a little bit. You do need somebody because you can have a mismatch. I’ve seen this done well where you have some kind of craft products, maybe it’s a beautiful handcrafted soap. We have this wonderful woman who makes this amazing stuff that Tom is addicted to. She makes it by the river in Michigan. It’s amazing and it smells amazing. It’s beautiful but finding the right packaging for it was so difficult. It wasn’t just about making sure that you protect it, which you needed to do, but it was finding something that wouldn’t give it a perception that it was mass produced. You’ve got to balance between the two. If you’ve got a craft product or if you’ve got something that has such specialty needs, craft beers, you start thinking about these things as they go through your mind. It’s a balancing act. When you’re going into your package design, you have the package design considerations. You have to think about functionality and the aesthetics. Graphics and logos matter. There’s another study I read that improving color selection can have a dramatic statistically significant effect on how consumers react when they see it. The emotions that a certain color may elicit. I’ve been choosing colors for 26 years for major corporations and big brands. I can tell you that it’s a science. We spend a lot of time deciding what the colors are going to be the next season, what’s going to appeal, and why you choose those colors. It’s not just psychology though. It has to do with your brand psychology. If you’re not leaving the right impression, it’s highly likely it’s a color problem more than it is anything else that you’ve chosen to do because of the way we buy things nowadays. We’re buying on our phones, we’re scrolling and we go, “Pick that.” Color is the one thing we see, we don’t see texture yet. It used to be texture. If you pick something up and it felt great, you would choose it even if the color wasn’t right. We don’t buy that way anymore, so color is the most important choice you can make. If you’re making a wrong choice, if you’re not educated in it, if you’re choosing what you like, that’s a mistake. It goes back to the same thing again and again and again. You have to think what does the market expect and what does the customer expect? How does that relate to the product that you’re selling? Is that leaving the brand impression and the brand perception that I want it to leave? You have to check that. Picking your favorite color is not the way to go. That’s not the answer to it. That’s where a lot of people start because they don’t know what else to do. Everyone, I’m here for you. This is where you send messages. We do a quick consult and we pick a better color. This is not a hard thing to do. This is something that’s so critically important. It goes along with the overarching question, “Are the graphics, overall aesthetics of your package, this includes your logo, text, fonts, colors, everything, the whole package, is it in line with your target audience?” Every product has a unique target audience. No product generally applies across the board. You’ve got to balance that a little bit and make sure that not only is your color selection appropriate, but overall the placement and the sizing. A lot of those have subconscious effects on our human psychology and how we tend to pick out a product. We need to make a connection among all of you, Apurva, and Laura Hazzard, our resident market research expert here, and the field agent whom we talked to. Between the field agent can help you dial in and find the exact right people, this is our people who signed in to do market research. They’ve signed in and they started getting paid for doing stuff on their apps and sitting on their couch. They geolocate you and make sure you show that “I got kids here.” They have a much stricter requirements so you get a targeted audience. Then Laura structures questions. You can’t ask someone, “Do you like this packaging?” You can’t say that. You have to ask the question properly to get out what’s the problem with it. That’s where we come in. The markets that we work include food, beverage, pet food, pharmaceuticals, cosmetics, you name it. All of these principles are underlying and apply across the board. It doesn’t matter what you’re packaging in. You want to make sure that you don’t have a $5 logo. You want to make sure that the color selection is accurate. You want to make sure that the packaging is functional. At the end of the day, those are the three ingredients. You’re seeing lots of trends and keeping up on all of that. You’re going to be able to keep us apprised to that here on the platform. What are you going to share with us over the next few months? When you look at it, one of the things that people are surprised to note is that packaging trends in general start overseas and then make their way westward. That’s where things start. We see, for example, in the beverage space, we’re doing wine in flexible packaging or box style bags or a bag in a box. There are so many different concepts and cool variations that slowly make their way to market. A lot of times we’ll test it and try it overseas. We’re happy to share with you trends that we observed and we’re seeing because we’re at the forefront of that and help give your audience an idea of what the options they may have when it comes down to picking something. When you get questions like, “Am I in an industry that is going to matter? Is this product going to matter?” He’s here to ask those questions. It wouldn’t be Product Launch Hazzards if we didn’t talk about the stuff that goes wrong. That’s why you’re here. That’s why all the experts are here because we’ve been there, done that again and again. We’ve watched the mistakes, we’ve made them, and we experienced them firsthand. We had pain from them. I love to know if you’ve got a story or two about some of the things that went wrong because of wrong package choices from some of your clients or some of the people you pick the pieces up for. Flexible Packaging: You mess up on one thing and the customer experience is ruined. You mentioned to me when we talked the first time about salt. People don’t realize that like some products you put inside of packaging actually corrodes your materials. It can deteriorate the package from the inside out. Salt is a good example of where it’s very susceptible to moisture. It clumps up when you have salt in the presence of water. You might go off the shelf and by a standard polyester bag that you want to package your salt in, but then you realize that polyester is great at oxygen barrier but not so great at moisture barrier. Most food products do have a higher sensitivity to oxygen, but salt has that moisture barrier. We would put a polypropylene layer in there to make sure that you have that improved moisture barrier characteristics. Those are the small subtle things that brand owners may not always be aware of. This just happened to me. I bought a garlic supplement in a bottle. I think they thought, “That’ll be just fine.” It’s not because it still gets hot on the shelves and it still warms up the little plastic coatings in there. They’re all clumped together and I seriously can’t get my finger in and get it small enough to pull them all out. If you start to pull on them with tweezers or chopsticks or anything, they pop apart and you can’t use them. It’s a huge problem. That would have been the perfect product to package completely differently than other supplements and make them so that they don’t have that problem where no light can get to them, heat resistance. We talked about the metalized layer before and some certain products, protein powder is one of them, garlic supplement is another one where they are very sensitive to UV ingress light. That’s where we will say, “You’re not going to go with a metalized film. 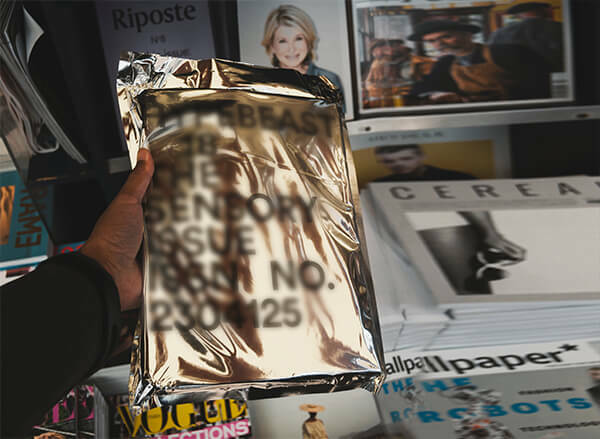 You’re going to go with an actual aluminum foil layer in between because that effectively blocks out 100% of all incident UV or light into the bag.” That’s the insight that we might have in guiding clients in terms of how you select the material. Small things like that, you can do absolutely everything perfect all the way from product design, engineering, prototyping, and then delivery. Then you mess up on one thing there and customer experience is ruined and that’s when you have to go back to the drawing board. For most people, this is why Apurva and FlexiblePouches is on our platform here. We don’t have a lot of runway when we’re a small business. When we’re a brand-new startup brand, we do not get to make mistakes. 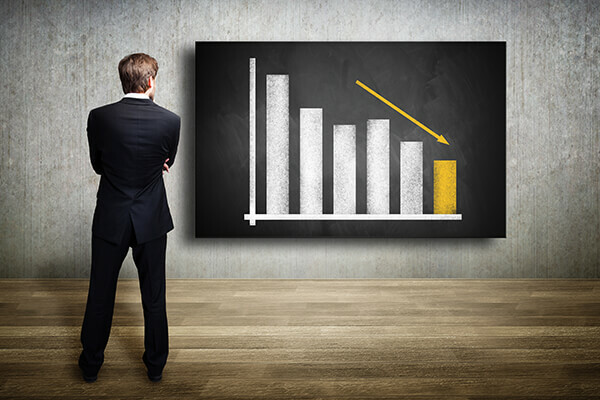 Big companies make mistakes all the time, but they can recover and we cannot. We spend too much money and our business is done. That’s why you cannot make these small rookie errors. You need an expert, you need help and you need to get them early. Our focus has always been on the small companies, startups, new product launch and the small companies with a limited budget and trying to stretch their dollar to make sure that they get the biggest bang for the buck. I’m so excited to have you on my personal team. I was making a couple little notes over here going, “We could do this package. We could do this product for this client.” I came up with a brainstorm for our client who is looking for a whole new product line. We’re going to be planning together similar here. I’m super excited about that. As you know, all the experts are on their expert profiles on the ProductLaunchHazzards.com website. You’ll be able to find Apurva there. You’ll be able to find all of the things he’s given us, a great Slide Share about his company and everything. He’s going to be back and do his first Q&A and we’re going to live stream it. Thanks so much Product Launchers for joining us. Thank you, Apurva, for becoming one of our members and one of our experts. Tune in to Apurva Batra‘s next Office Hours. 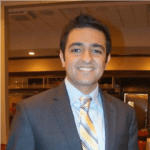 Connect with and find out more about Apurva Batra in our Experts Directory. Flexible Pouches aims to level the playing field for retail brands that compete in the hyper-competitive retail consumer product goods landscape. By offering the lowest minimums in the industry, they’re disrupting the $200+ Billion global flexible packaging space so that all businesses regardless of size have an opportunity to convey their message on store shelves. Additionally, they consult entrepreneurs and small to medium-sized companies on brand awareness and the importance of effective product packaging.